business owners and top management readers. via email and the web. business owners and top management decision-makers. 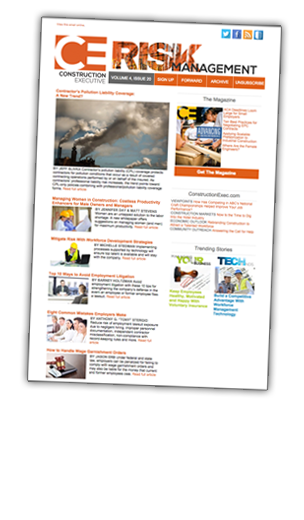 Construction Executive is launching a new series of webinars to provide readers with valuable professional education on the industry’s latest best practices and management strategies. Share your expertise by submitting topics and speakers for 2016. To succeed and grow in today’s challenging market, you need a magazine that offers more than just a printed page of advertising. 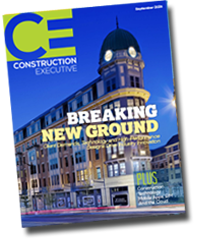 Construction Executive (CE) changed the landscape of construction publishing in January 2003 with the launch of the industry’s first business management magazine for contractors. Our format has been often imitated, but never duplicated. 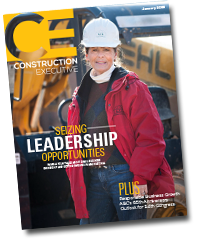 Today, more than 137,800 construction business owners and top management readers trust and depend on CE to deliver valuable advice, strategies and information to help improve the day-to-day operations of the nation’s largest and most active contracting businesses. 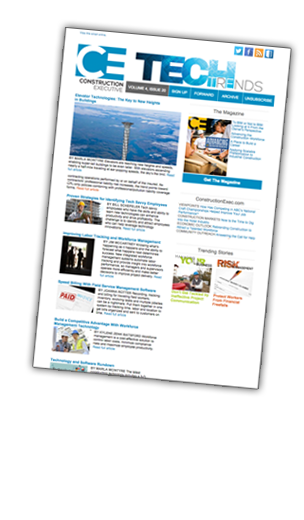 Advertisers benefit from the high esteem our readers have for CE and its authoritative articles, thoughtful analyses and industry insights. 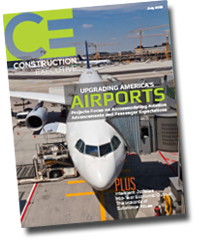 CE advertisers get more contracting management readers, more purchasing power, more benefits, and more added-value extras than any other industry publication. Choose CE and get more for your advertising investment: A media partner that is continually innovating to help build your brand, increase your visibility and grow your business. 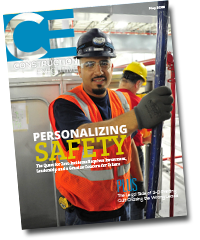 Construction Executive is mailed to 53,000+ total subscribers, who find it so valuable, they share each issue with coworkers. 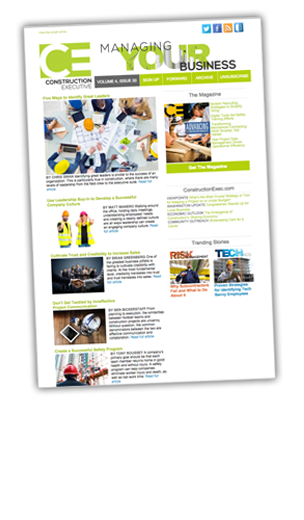 Advertisers reach a total audience of more than 137,800 construction business owners and top management readers. No other publication delivers as many top decision-makers. 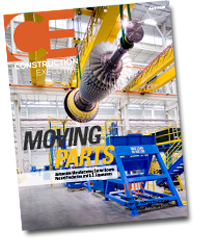 Every issue of Construction Executive includes information designed to help owners and top managers run a more profitable and productive construction business, including industry news, feature articles and special sections. View by month, or search by your category of advertising. CE offers advertisers a selection of digital advertising options ranging from traditional website advertising to eNewsletters and eBlasts. Advertising opportunities include display ads, sponsored content, and HTML email marketing. CE’s new webinar program offers marketers an opportunity to connect with key decision-makers by offering informative industry education. Select from three tiers with varying levels of promotion, branding and benefits.